Virginia declares state of emergency ahead of Charlottesville anniversary. The governor of Virginia has declared a state of emergency around the city of Charlottesville ahead of the one-year anniversary of a deadly neo-Nazi march. Ralph Northam, a Democrat, joined the city in announcing Wednesday that the state of emergency would last from Friday to Sunday, according to the local Daily Progress newspaper. Events are planned on those days to commemorate the counterprotesters who were killed or injured during the march. There will be checkpoints into the city center and a range of possible weapons — including BB guns, chains and poles — will be prohibited. The white supremacists who organized the march were denied a permit to reconvene in Charlottesville. However, they have been granted permission to gather in Washington, D.C., on Sunday evening at Lafayette Park, near the White House. 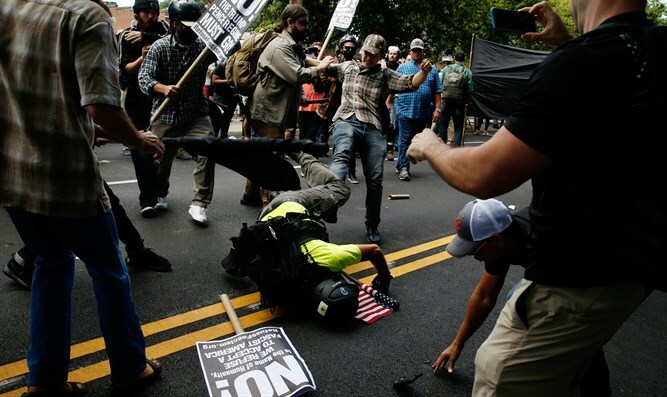 Sunday is Aug. 12, the day of the march last year that included outbreaks of violence and culminated in a car-ramming attack on counterprotesters that killed one person and injured at least 20.